A stunning 1940s Danish 'Banana' design two and half-seat sofa. 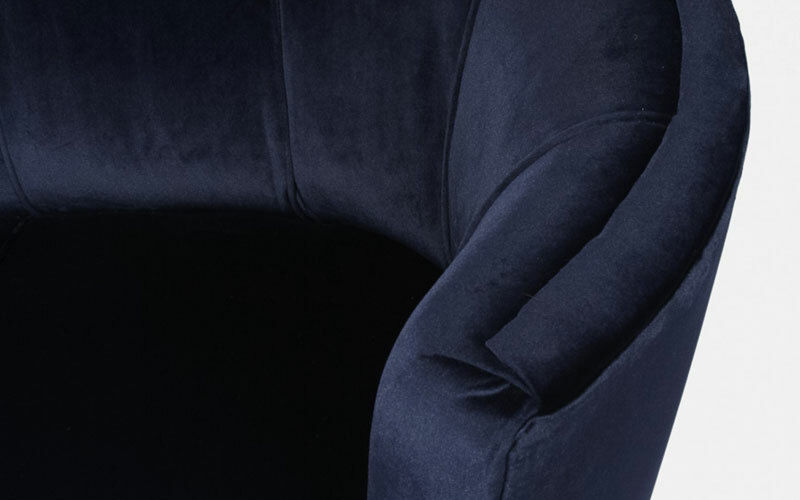 The sofa curves round like the shape of a banana and has beautifully piped back seat sections. The back and seat cushions are firm, yet comfortable and smooth to sit on. 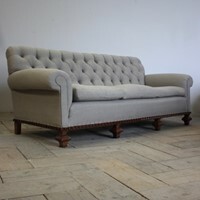 The sofa is in great condition and completely structurally sound with brand new navy velvet upholstery.